in the minds of the visitors. Our custom web design service gives our valued customers the edge that they seek to succeed in the ever evolving online business scenario. Doing business online has never been so easy and profitable before and we want our customers to reap the benefits of our hard earned experiences by opening their own online websites and stores. We truly value our customer’s website and take its development in a very professional manner because we understand that a website is not just a collection of images and graphics scattered around useful content but rather the first front that helps create the image of our customers in the minds of the visitors. A user friendly, high quality and open web site says tons about the business that it represents while a cluttered, non-professional looking and maze-like design alienates users and hinders the process of online business growth. 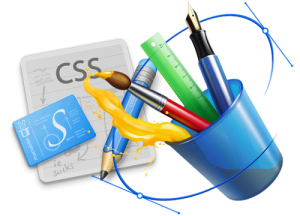 Our team of developers and web site maintenance staff work in a cohesive environment towards a result which, every time, not only pleases us and our customers but also appeals to the aesthetic sense of its users. Our team utilizes techniques that place the most important data at just the right places between eye-catching layouts which even a casual visitor cannot ignore like many other “also-present” websites.